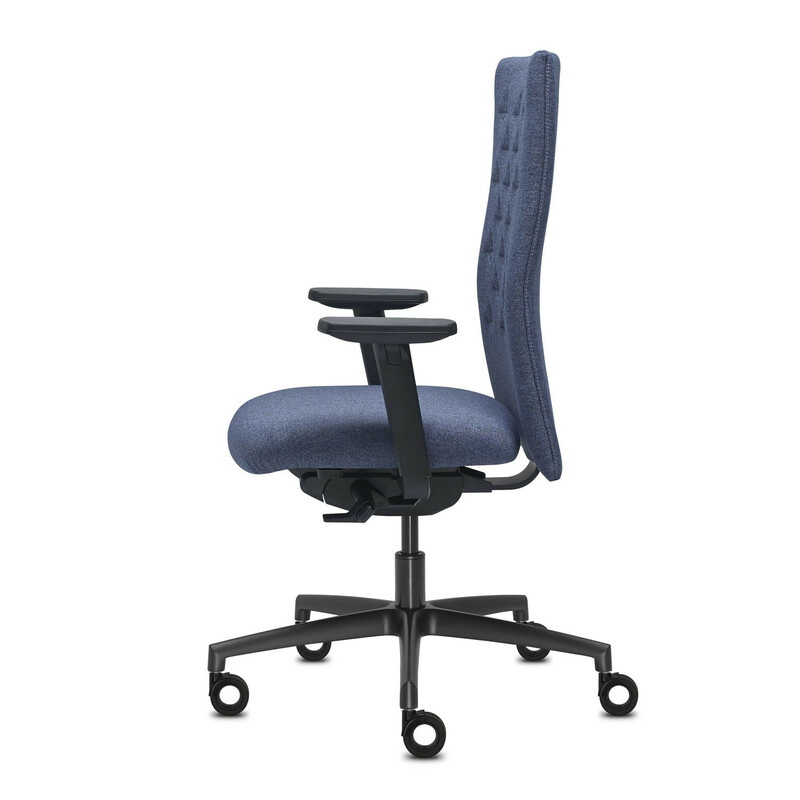 Butterfly Task Chair is an ergonomic office chair offering functionality in a minimalist design. Butterfly office chair is available in two versions: a first version with decorative “butterfly” pattern in relief, this is achieved through handcrafted stitching on the back cushion. The second Butterfly task chair model is particularly elegant, the chair is in fine black leather, characterized by a woven texture. 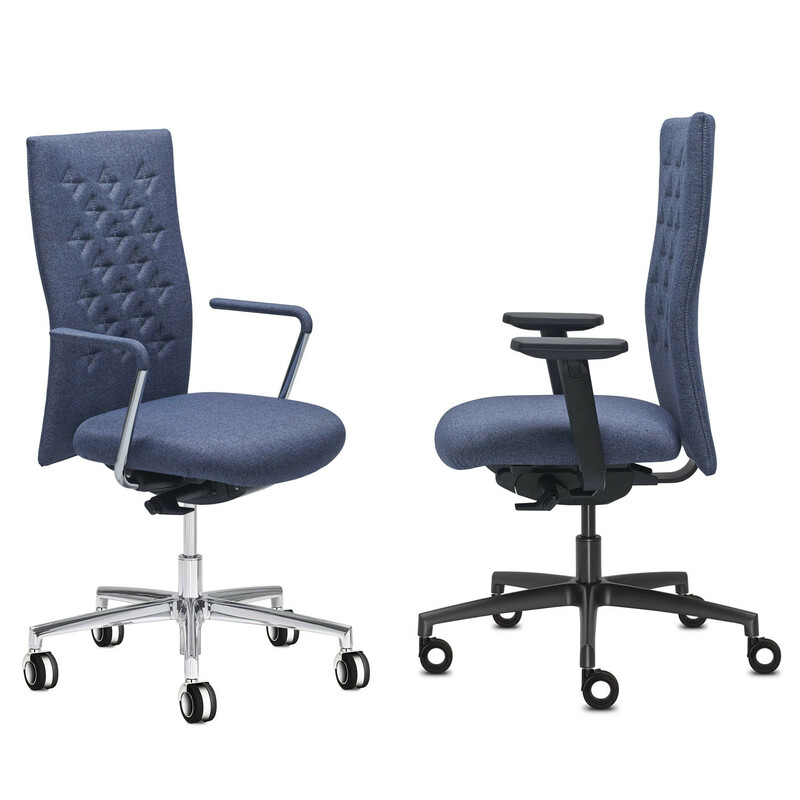 Both Butterfly task chairs feature self-weighting mechanism synchronised with the automatic calibration system of the tilt support, allowing people with different body weight to use the chair without any need of adjustments. The tilt angle can be locked in 4 positions with anti-shock system. Butterfly seat moves in tune with its user thanks to the possibility to adjust the depth and lock it in the required position through a practical side button. To ensure proper posture and reduce muscular fatigue, Butterfly features a lumbar support with adjustable height that ensures proper support at the base of the spine. For improved comfort, Butterfly seat pad is in flexible polyurethane with “Comfort-Air” technology. You are requesting a price for the "Butterfly Task Chair"
To create a new project and add "Butterfly Task Chair" to it please click the button below. 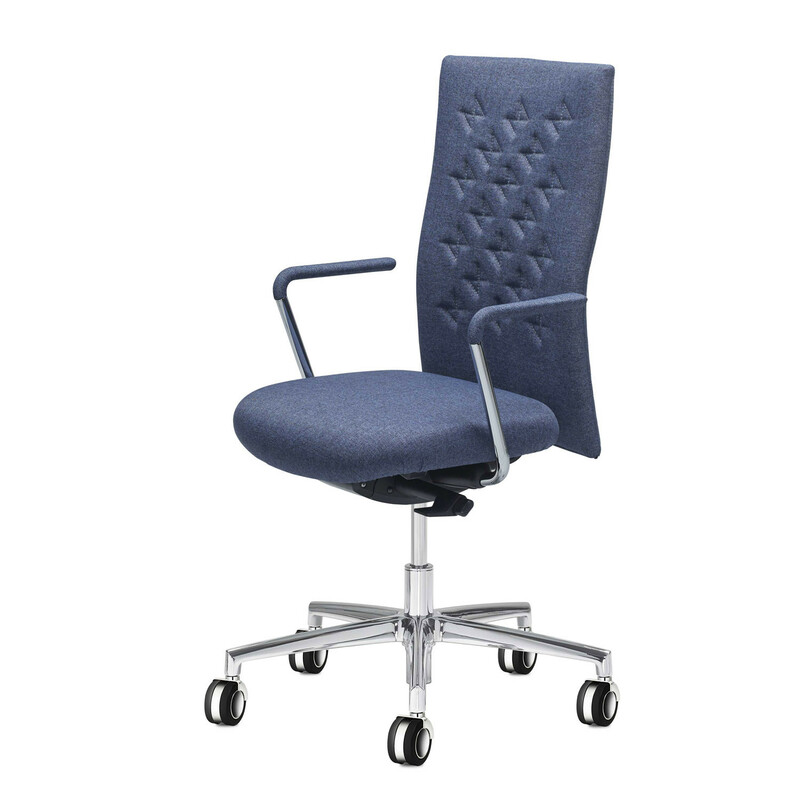 To add "Butterfly Task Chair" to an existing project please select below.